Snapchat… be honest, did you think that this social network was the sole preserve of the likes of Kim Kardashian and hipster Vloggers? That it couldn’t possibly hold any value for your equestrian business? Given that the app is chocka-full of filters and amusing voice effects, this view isn’t so surprising. While Snapchat has come a long way since its early days, it’s still mistaken and misjudged by many to merely be the social app of the moment for tweens and teens. In this blog, we bust a few myths, mull over Millennials and share simple, quickly actionable tips for snapping your way to business growth. First of all – what exactly is Snapchat? In the simplest sense, Snapchat is a messaging app that allows for videos and photos to be shared for between 1 – 10 seconds. After this time the content (known as a ‘snap’) disappears. On each ‘snap’ you can add text, emojis, doodles and use filters. A Snapchat story is complied from the snaps you post to your account over the course of 24 hours. In order to create a story, you’ll manually select the Snaps you wish to show. A Story can be viewed by all Snapchatters (public); just the user’s followers (private) or a custom group. Finally, there are chats – which are private messages between friends that can include text or images. These work in a similar way to Facebook messaging or Twitter DMs. Users actively engage with businesses on the platform – far more so than on other platforms – 50% of Snapchatters will open a brand’s story, while more than 85% will then go on to watch the entire story. Users willingly follow companies – with 55% of users saying that they follow one or more brands or businesses. We began this blog attempting to bust the myth around the average Snapchat user. While it’s true that all types of businesses do embrace Snapchat, and the users are indeed diverse, it’s also true that 7 out of 10 Snapchatters are Millennials (with Millennials defined as those born between 1982 and 2002, or 2000 according to others). In the B2B environment, these users are becoming more central to marketing efforts, with the average age of the typical business buyer falling in recent years. And even if your contacts are nowhere close to this age range, research has found that 73% of Millennials are involved in B2B purchasing decisions. So if this age demographics isn’t currently your target market – they either soon will be, or already are and you just don’t know it. All in all, this can be incredibly good news for you, as Millennials are both engaged with brands and willingly embracing technology as the solution for purchasing goods and services. So much so, that they can be as much as 57% of the way through the buying process, before contacting a company. The best way to remove the intimidation of Snapchat is to spend a week or so using it and researching how other equine brands are using Snapchat (ideally within the same niche as you). There’s also a lot to be learned from those in the wider agricultural industry. 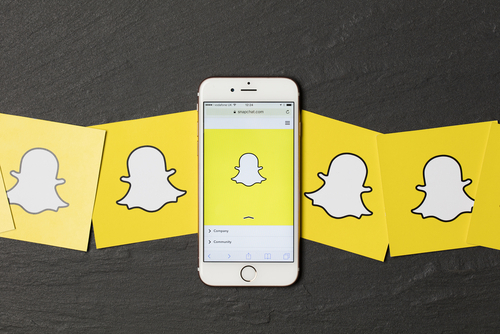 This article from AgGrad provides a top 15 list of brands, businesses and individuals who have mastered Snapchat in this field. From your website and Instagram page, to brochures and emails, make sure you include your Snapchat details with a short call to action as to why they should follow you. When writing your call to action bear one question in mind – what value does your Snapchat content give your audience? Tips? Entertainment? Offers? 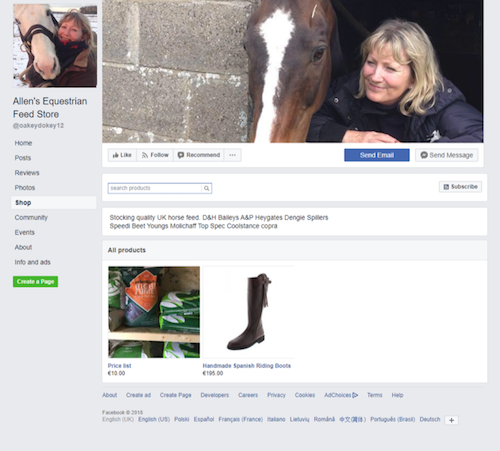 Being associated with a well-known face or brand in the equine industry can give your business instant credibility. So consider collaboration, such as their using your account for the day. There will most likely be a fee involved for this, however the value of this marketing tactic can be judged from the influencer’s number of followers. On the flip side of the tip above, you could reverse the roles, and take over the industry influencer’s or brand’s account. If you consider this option, be sure to have an idea as to how you’ll make your content engaging while fitting in with the general theme and tone of the content they typically create. Is it your birthday? A new baby in the office? A brand-new team member? These events are incredibly Snapchat friendly, and can add an element of ‘behind the scenes’ footage to your marketing, helping your customers feel as though they know you. Ask your followers to send in pictures or videos of them using your products or service, and repost it on your Snapchat. You could encourage this by offering a prize for all those you feature. Discount codes and promotional offers demonstrate good results when the product or service is chosen with the audience in mind, especially when they’re exclusive to Snapchat (which can also grow your following). A final advantage is that the 24-hour format creates a little urgency to act, which may improve conversions compared to the traditional sale set up. Remaining active on any social network is always important if your page isn’t to leave your customers with the impression you’ve closed down. However, as Snapchat deletes your posts after 24 hours, it’s critical that you post regularly to stay top of mind. 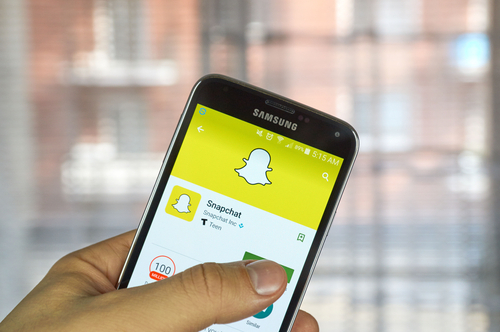 According to marketing whizz Neil Patel, the optimum posting structure is to update your Snapchat three times per day, every four to five hours. Unlike Facebook and other social networks, it’s only you and those who send you a message that can see the interaction – there’s no public page or feed comments. However this doesn’t make engaging with those who get in touch any less important – and you should always try to reply as soon as you’re able to. 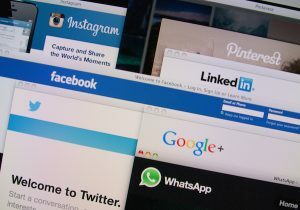 Younger generations and business buyers have today come to expect more from businesses on social – with many expecting a response within minutes, not hours. 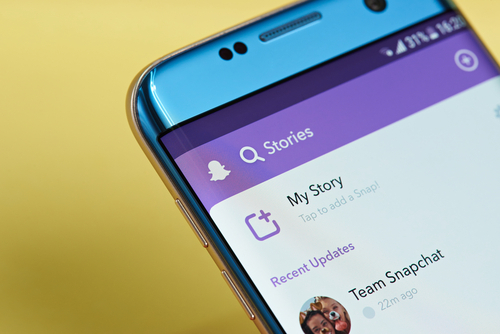 A recent addition to Snapchat stories is the ability to add links – so be sure to use this where relevant (such as with promotional codes or product pictures). This one’s straightforward – vertical videos are watched 9 times more than horizontal videos on Snapchat. So only use a horizontal video format when the content absolutely demands that you do. Being visual and engaging in terms of how long a viewer will stick with a video for, Snapchat is probably the best social network to demo products. From ethics to the environment, don’t be afraid to have a say on the matters that are affecting the wider equine industry – being outspoken on topics such as these can be the strongest way to create debate. Geofilters are custom filters that Snapchat now allows anyone to create. You’ll simply upload your own or use the Snapchat template, pick a time and set an area within which Snapchatters can use the filter – such as at your sale, event or exhibition. Submitting your filter design is simply – and once approved it’ll then be ready to use within one day. The graphics are simple, but the results can be seriously impressive. Starting at just £5, this marketing tactic is undoubtedly cost-effective. Ready to find out what snapping could do for your business? PressPoint Countryside & Equestrian can put together a strategy for leaping over the competition. Call our team on: +44 (0)1953 851513 or email us: [email protected] and we’ll be in touch. As the owner of a tack shop or feed store, you know that competition is rife (after all, who wouldn’t want to earn a living linked to the thing they love?!). With so many other retailers in this industry, you’re up against it, and paid advertising probably already consumes a significant chunk of your marketing budget. Yet however you currently cut your advertising spend, you may want to have a rethink, and invest in Facebook instead. Here we explain why, how, and what foundations should be in place before launching your first campaign. Facebook offers THE largest audience of all social sites (with 2.2 billion monthly active users, and counting). Yet despite this mammoth audience, it is the ability to precisely target your audience where Facebook really comes into its own. You can also target those your business already ‘knows’, such as past website visitors, those who’ve already purchased, as well as those who share the same profile as your existing customers. 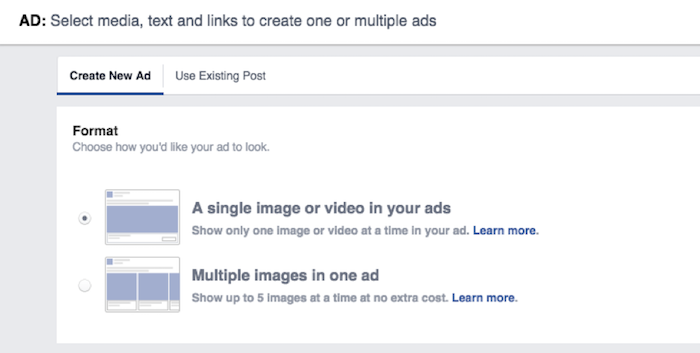 Put simply, no other paid advertising medium offers the level of targeting that Facebook does. Facebook advertising offers many compelling benefits. But, if we’re honest, it also has its drawbacks, one of which is the hurdle you must leap if you’re to pull your audience away from it, over to your site. As a retailer, you can overcome this challenge by setting up a Facebook shop. 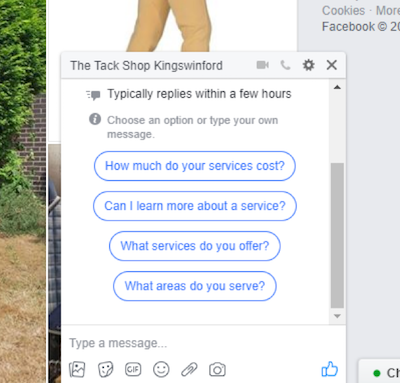 Adding products is relatively straight forward, and you can choose to direct shoppers to your website, send a message about the product, or purchase right then and there – directly on Facebook. 60 percent of survey respondents say they have used these mechanisms to interact with a business in the past 12 months, with chatbots being regarded as convenient and fast. 84 percent of people trust online reviews as much as friends, so if your potential buyers have any last-minute doubts, positive reviews can be enough to push them to convert. You can take proactive steps to building up your review section by simply asking for reviews in purchase confirmations and invoices. Facebook adverts can promote: posts, photos and albums, videos, events, offers, links to your website and your products. 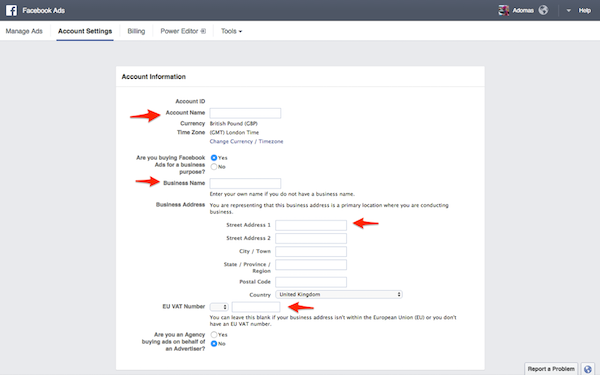 First, you’ll need to visit the Facebook Ads Manager to create your ad account. With that created, visit the ‘Account Settings’ (accessible from the top menu). Here you should fill in your details (business name, address and so on). At this point you can add another person to manage your campaign. Simply scroll down to the ‘Ad Account Roles’ section, and select ‘Add a Person’. Alongside their name and email address, you’ll need to tell Facebook what level of administrative control they should have. 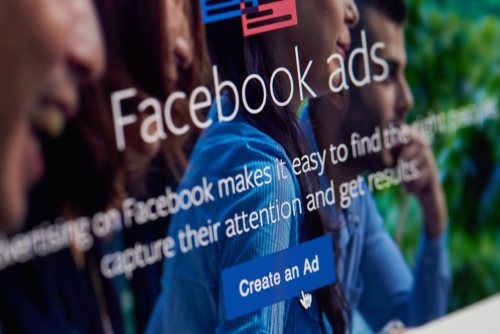 In order to make the most of Facebook advertising, you need to make sure that your targeting is on-point. Given that you sell very specific items, you may get the best ROI by targeting shoppers who you know purchase your products. This can be done in one of two ways. 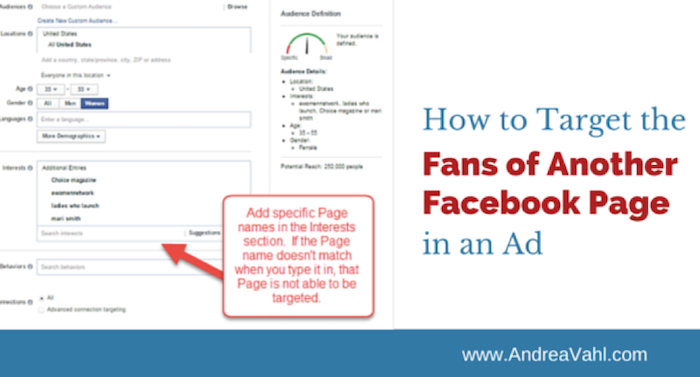 First, you can target the fans of another tack shop or feed store Facebook page. 6. Wait for the template to upload, then you’re all set for your first dynamic ad campaign! 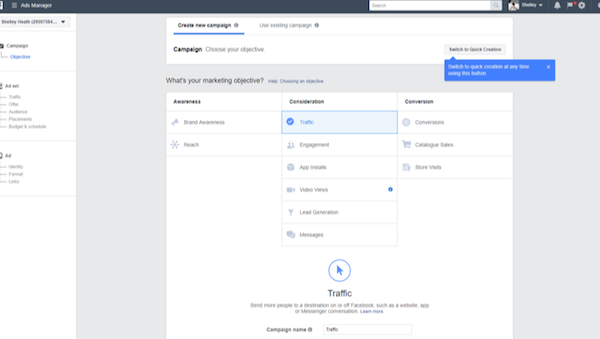 You can also use the Facebooks Insights Tool for learning more about who you should be targeting based on what interests your audience have. Boost post on Facebook Pages: This is the quick and easy option – but it’s also not very effective (and not the best tool for e-Commerce owners). Power Editor tool: The Power Editor was built for pro marketers. It provides endless campaign features, but can overwhelm the layman. We’d recommend staying away from this, or if you do decide to use it, make sure you undertake plenty of research! Self-serve Ads Create tool: This is the most streamlined set up tool of all three, guiding you through the process step by step. Click here to create an ad in the Self-serve Ads Create tool – first, you’ll choose your objective from 15 in total. You’ll want to pick either ‘Send People to Your Website’ or ‘Increase Conversions‘. You’ll then need to walk through the process, entering details such as your website URL, selecting your audience, setting your targeting (such as additional interests), setting your budget and creating your ad schedule. 5. Design your ads and launch! Next, you’ll be led through your options as to how your ads appear. You’ll choose whether you want a single image or video, or choose a carrousel ad (which is also known as multi-product ads). Given your business, we would recommend starting out with a multiple product ad. You can create up to 6 ad variations for your campaign from 6 different images – this allows you to see what drives the best results. You’ll complete your ad by entering the headline, main text and call-to-action buttons. With all the information added, you’ll see a preview of your ad before launch. This allows you to see the different placements of your advert – such as in desktop feed, mobile news feed and audience network placement, which would place your ads on third party apps and websites (given your work on your Facebook page, it’s best to avoid this option). Finally, click ‘Review Order’, click ‘Place Order’, and you’re live! On a tight budget? Spend it wisely, combine Facebook advertising with video, which has been found to secure a Cost Per Click of $0.18 (compared to $0.97 for non-video ads). As for the best days to spend your budget? That would be Thursdays and Fridays – which Bit.ly found to be the days that received the best engagement (18% better than the remainder of the week, to be precise). Finally, you need to experiment with your ad format – the text, images and whether you feature products or video. There are no golden rules as to what is most effective for any one business, and small tweaks and trials will help you understand what works with your audience. To get to grips with this type of campaign testing, read our blog: Testing, Testing: Killer Conversions Through Solid A/B Testing. Stock up those shelves, if you design and target your Facebook ads right, you’re going to need all the inventory you can get. 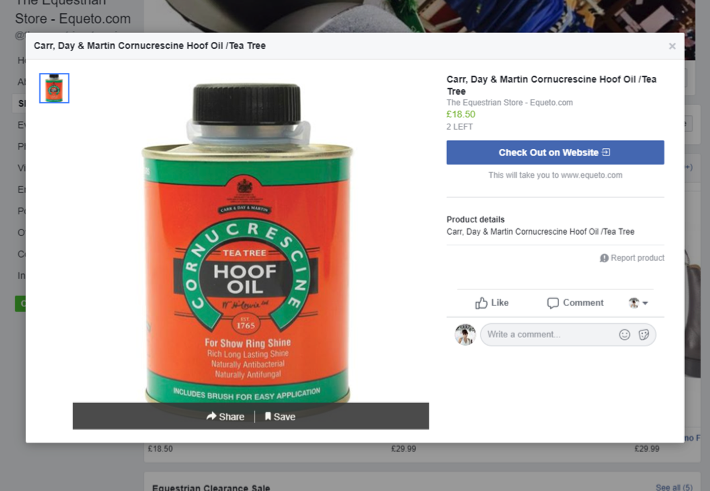 And if you want a helping professional hand in making the most of Facebook Advertising for your feed shop or tack store, PressPoint Countryside & Equestrian is here to help – we understand your marketplace and know just what it takes to make that sale. Call our team on: +44 (0)1953 851513 or email us: [email protected] and we’ll be back in touch. Tack shop or feed store owner, allow us to ask you a question – do you have any semblance of a plan for your marketing? Or, like almost 50% of SMEs, do you have no plan at all? If you’re firmly in the latter group, we want to be blunt: you’re undoubtedly wasting time, resources and money on marketing that’s ineffective (and you may also be overlooking other channels that could drive a better ROI). 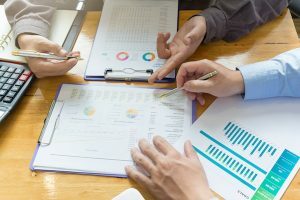 In this article, we’re going to walk you through the making of a marketing plan – from the foundation of basic market analysis, onto deciding upon your marketing goals. Before we dig into the three types of market analysis, it’s worth noting that this really needn’t be an in-depth, month long task. Even the simplest and most cursory of analysis can help you better understand your customers and competitors, and in turn – your target market. Let’s start with your internal sales data. 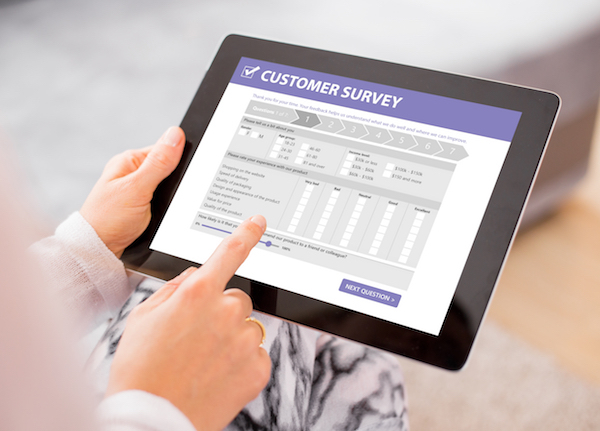 Take a look at the past 24 months – can you tell how your customers found out about you? What did they buy and which were the most popular products? What proved to be your most profitable products? What is the typical customer – business or consumer? Either way, try to add more to the picture of the typical customer – for businesses, this could be by region or business size, and for consumers, this might be by age, gender or occupation. Task time: up to an hour. Now it’s time to weigh up the competition. Begin by looking at the websites of your competitors, then explore their social profiles and follow them (continually staying up to date with your competitors’ marketing is mission critical). After 30 minutes research, grab a pen and paper and answer this: what similarities do you have? What differences are there? Aim to gain an idea of strengths and weaknesses with your business, and with your competitors. Customers can be a rich source of guidance when it comes not just to marketing, but also to the way you do business. 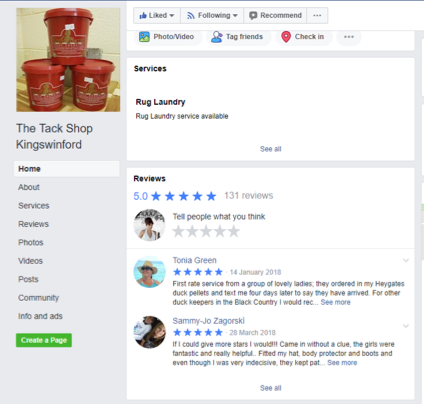 They could tell you about the types of feed they want, provide ideas for brands you don’t stock in your tack shop, and shed light on how customers wind up at your door or shopping on your ecommerce store. Gaining their input needn’t be complex. Simply send out a poll via email to ask them about their experiences. Make it easy to engage, with a five minute online form to be filled out. You could also post a link on your social profiles and encourage responses by offering entry to a prize draw. 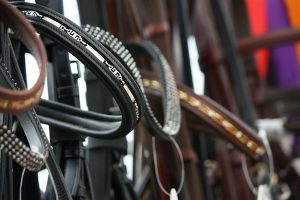 With a good grasp as to what other feed stores and tack shops are up to and how they’re communicating their offering, it’s time to pin down a value proposition. A well formed USP should differentiate you from the competition, and make the benefit of buying from you, rather than the next store, clear. What problem(s) do you resolve? Tack shops – you provide the clothes and the equipment that allow people to indulge in their hobby or continue running their own equestrian business. You keep people, horses and perhaps even pets clothed and safe. Feed stores – you don’t just ‘feed’ horses, your products provide them with a balanced diet, with the right nutrients, to keep them healthy. How can you make your shop unique? Your products may not be unique, but your service can be. As a retailer, this will lie somewhere within your delivery, aftercare and advice. You can highlight your business as a source of expert guidance – able to provide advice on the right products, for different problems. This should summarise your value proposition within 10 words or less. With your market explored and your USP defined, it’s now time to focus on what you want to achieve. First and foremost, one of your marketing goals will almost certainly be driving potential shoppers to your website, where they can purchase online or at least find details as to your products. But is your offering easy to find and use? Can you be found on Google search – especially Google businesses, if you have a bricks and mortar store? If not, you should invest in SEO and PPC. You’ll also need to ensure that you have a good online reputation before you begin marketing, as 81% of shoppers conduct online research before buying. If there’s a trail of unhappy past customers to be found over on Trustpilot, all your marketing efforts go to waste for 8 out of 10 buyers. Whatever the goals you create, you should plan for the long term, creating short, medium and long-term goals (1 month, 6 months and 12 months are good suggested timescales). Here’s a question we’ve been asked time and time again: which marketing channel is most effective for equine SMEs? While the exact answer will differ from business to business, we want to present a super short summary as to what your options are, and what each channel’s main benefit is. This list isn’t exhaustive however, there are plenty more marketing mediums out there to explore. Search Engine Optimisation should be thought of as a long game – an ongoing strategy that, month by month, improves your ranking in search engines such as Google and Yahoo! SEO should involve blogging – which can be great for educating your customers about the various products you stock that resolve their issues (such as a certain type of feed for old mares, or the best rain sheets for spring). Get started with SEO, by reading: link building masterclass: getting started (and getting it right). In direct contrast to SEO, PPC drives traffic to your website instantly. However you have to pay for these leads, and not all of them will convert into a sale. That said, when your PPC strategy is on-point, your targeting is right and your website converts well, it is possible to achieve £2 in return for every £1 invested. Despite mail having a rather terrible reputation as rather useless, email is in fact incredibly effective for ecommerce owners. As the perfect example, sending a series of three abandoned cart email reminders brings in 69% more orders than a single email. And, since GDPR came in, businesses and consumers are even more selective about who they receive news from, so when you DO get an opt in, your recipient should be even more ready to read your message. PressPoint Pro Tip: we know that for many, the impact of GDPR hit hard. If you’re struggling to rebuild your email list, read this: email marketing in the age of GDPR). Rather than being dead in the water, print marketing can feel personal, tactile and provide the recipient with something to keep around (which can be encourage by including a coupon within it). It’s also particularly effective with prospects, with research showing that 39% of customers say they try a business for the first time because of direct mail advertising. An effective, carefully crafted marketing plan can work wonders for the bottom line of your business. But it does take time and effort. If you’d prefer to leave the marketing to the experts, PressPoint Countryside & Equestrian can help; from developing your USP, to overhauling your branding, onto creating and executing a cast-iron marketing strategy. Call our team on: +44 (0)1953 851513 or email us: [email protected] and we’ll be back in touch. Never one to shy away from innovation, Instagram has recently announced a brand-new platform. Called IGTV, this desktop and mobile app is set to contend for YouTube’s crown as the social video platform. 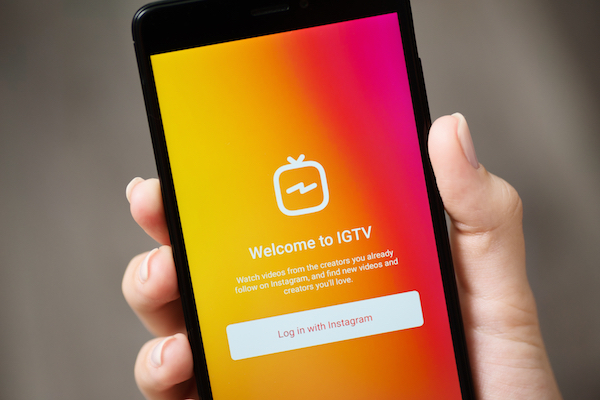 In this feature, we look at exactly what IGTV is, how it’ll work and tactics for grabbing attention, increasing customer loyalty and driving digital footfall into your online store, website, or product pages. Before we dig into the details as to how IGTV will work (and how you can make the most of it for your equine brand), let’s take a step back to appreciate what Instagram does and can do for your bottom line. Instagram was set up on a relative shoe-string budget (at least in the world of start-ups). With $500,000 of investor funding, two entrepreneurs had an idea that today, a mere seven years later, has led to a user base of 1 billion users as of June 2018. While going after the same broad target market as YouTube, IGTV is setting itself apart in a few core areas. First, it will be built for how people use their phone – displaying them in full, on a vertical screen. Second, as mentioned, they’ll be no one-minute time limit (as is the case with Instagram) – allowing for up to 60 minutes of video. Third, IGTV will be a simple, separate app (though it will be accessible from a button on the Instagram home screen). They’ll be no need for users to search for content from the businesses, brands and people they follow on Instagram, as their feed will already reflect who they follow on the main Instagram app. IGTV will also present video suggestions based on what Instagram knows about each user’s interests and preferences. Users will swipe up to explore – switching between For You, Following, Popular and Continue Watching. Users can also like, comment and send videos to friends in Direct, just like Instagram. Finally, IGTV will also provide you with the platform to create your own channel which your audience can subscribe to – allowing for links in the description of each video to drive traffic to your website, landing pages and products. If you’re yet to download the app, you can do so in the App Store and Google Play. Once downloaded, you’ll login to IGTV using either your Instagram or Facebook account. As soon as you’ve logged in, you’ll see that a video immediately begins to play, and immediately after one video finishes, another starts. 4. Continue Watching: Just like Netflix, you’ll find that any videos you’ve not finished watching will appear in the ‘continue watching’ area. 5. The Search Bar: Accessible via the magnifying icon, search allows you to track down your favourite channels or search for content using terms such as “equine news” or “equine business”. 6. Your Profile Photo: Over on the right, you’ll see your profile picture from your main Instagram account. Tapping on it will take you to your channel. 7. The Settings: In the settings, you’ll be able to follow Instagram accounts, link your IGTV channel to your Facebook profile (you can also set your IGTV to automatically post to your Facebook page) and do other tasks, such as reporting an issue or logging out of the app. First, a basic rule – you need to record with an aspect ratio of 9:16. Let’s keep this simple – recording on your smartphone vertically will handle this for you. Now for the trickier part – creating content that naturally lends itself and capitalises upon the vertical format. That’s right, despite IGTV allowing for videos of up to one hour in length, research consistently shows that videos between two and three minutes in length result in the best engagement. That said, there are some instances where long form content is the obvious choice – such as interviews, exhibition reports and in-depth industry analysis. Your videos need to serve up content that is defined by two foundations – it must be unique and it must be useful. These two factors apply whenever you make video content, whatever the platform you’re making it for. A simple way to create a video content plan is to study your competitors’ blogs and your own blog to understand what content has proven to be the most popular. What has got people talking? What download guides, reports or whitepapers have built your email list most significantly? Look at the amount of social shares, your own website analytics and the level of engagement on social media – indicated by comments, likes and retweets. Then, with this knowledge in hand, consider how you can transform this content into video – and (of critical importance) think about how presenting this content in video format will bring something fresh to your audience. IGTV features an insight tool. Use it. Any type of marketing should involve analysis, and handily enough IGTV hands you an analytics tool for reviewing the effectiveness of your videos. In order to view your video insights, you’ll need to tap on the three-dot button on any of your videos and select ‘Insights’. Here, you’ll be able to explore key facts and stats, such as how much engagement your video generated and viewer retention rates. You have (or at least should have) a brand – a tone of voice, a visual style and personality. These things should be evident in your video content – reflected in the words you (or someone else) speaks, any branded background behind them, and your overall message. Ask yourself – what are you hoping to convey? Are you a voice of friendly authority? Do you want to build a community of fellow equine business owners? Answer these questions before you so much as even think about the content you’re going to create, and how it will align with your brand. IGTV is in extreme infancy – you should continue to look at how others are harnessing this medium and using it to drive results for their business. At PressPoint, we can’t wait to watch how the story of IGTV will play out. A leading pub chain of our acquaintance, trialled a new drinks promotion amongst all of its pubs in a single city. The promotion was an instant hit, with one pub tripling its sales over the four-day mid-week promotion. A few weeks later the pub chain reported its results to the City and invited the leading analysts to breakfast. During the course of the presentations, the CEO announced that this year’s great financial results were only the start, and that they would be rolling out the highly successful trialled promotion across the entire estate of pubs over the next six months with very high expectations. Cue much cheering and a surge in the share price. What no-one was aware of was that the launch of the drinks promotion in that city coincided with the arrival of tens of thousands of seemingly very thirsty Glasgow Celtic fans into that particular city for a football match. The net effect of that three-day drinking session was to add tens of millions to this company’s share price. As a result of these shenanigans, we generally take a jaundiced view of announcements to the City, if a group of parched football fans can influence the FTSE in such a way, who knows what’s really behind the success or failure of a listed company. Not that we’re suggesting that there is anything underhand going on at Pets at Home, where the announcement of increased quarterly sales with retail revenue rising by 6.9% and vet revenue up by 18.4%, immediately sent its share price surging by 10%. The main reason for our lack of scepticism, is that it very much chimes with what we have been saying in this column for some time, and let’s face it, if something backs up what you’ve been banging on about, you’re much more inclined to believe it! Pets at Home CEO Peter Pritchard puts its improved results down to a number of initiatives:“great promotions and more lower prices, capitalising on the hot weather with our biggest ever summer and cooling product range, the launch of our easy repeat online delivery service, and an excellent ‘Best Start in Life’ puppy healthplan campaign in vet practices. As we said right here a few months ago, the UK pet ownership model is changing, pet owners are becoming younger and as a result they are shopping in different (younger) ways, they want value, but they want the best for their pet in terms of diet and well-being and they want convenience. Crucially they are prepared to pay for it, when they are satisfied that their purchasing criteria are met. If you look at where Pets at Home is attributing its revenue growth, it is ticking all those boxes, plus it acknowledges that it needs to up its game in terms of “customer experience”, because it knows that is exactly what this “new” type of customer is looking for. Alongside the Jesuit-like idea of “give me a puppy before the age of … and they’ll be mine forever”, the company has recognised that the new younger pet owner is inexperienced and will value the support that the Pets at Home team can provide. And of course you have to go in-store to see the Pets at Home vet team. Hence its commitment to improve the in-store experience, and of course it’s no accident that the vet section is usually right at the back of the store. It is these very consumers who are shunning the big corporates, who prefer small independent cafes to Starbucks, who buy craft ales and not Fosters, who buy boutique gin and not Gordons. Whilst those Celtic fans weren’t so picky, the new generation is, which is why there is room for optimism for the smaller retailer and manufacturer. Retailers and manufacturers need to take heed from what Pets at Home is doing and capitalise on it. 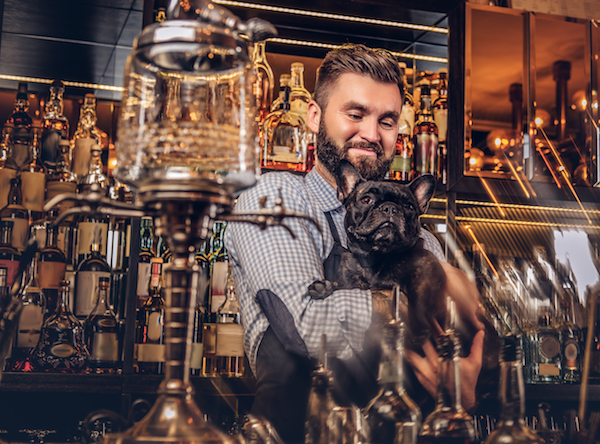 Right now your core in-store market might still be the Horse and Hound brigade, but could you do more to tempt in this new customer to your independent store, where great service and experienced advice costs nothing? A tightly targeted social media ad campaign could be just the start you need, or even a stroll up the high street, saying hi to all the dog owners, making a fuss of the dog, and (in the name of research) asking where they go to buy their food and accessories, and what they look for. GDPR – great news for many consumers, exceptionally bad for businesses the length and breadth of Europe. An article published by Campaign stated GDPR could render 75% of UK marketing data obsolete – so that’s three-quarters of your email list, gone! These losses could have a very real impact on your business – and some six weeks since GDPR went live, you might already be experiencing falls in sales, enquiries and phone calls. In this feature, we want to provide an emergency GDPR email marketing plan, but first, we must start with the basics. The General Data Protection Regulation (GDPR) came into effect on the 25th May 2018. Created to provide heightened protection to the privacy of individuals throughout the EU, GDPR now governs how data is collected, stored and used. In short, GDPR was a reaction to companies abusing data, with the selling of email addresses, sharing of data to unauthorised parties and failure to protect data against hackers. And despite the legislation applying to individuals, it also applies to emails sent to other businesses. Now, asides from the admin you’ve had to overhaul, you need to face the prospect of re-building cleansed email lists, reworking opt-ins and ensuring that your opt-out is on point. Let’s dive into these now. Excuse us if GDPR explainers have been done to death (and we’re with you if you feel sick and tired of hearing about it). However, GDPR is still misunderstood by many, many businesses. Here are the five things you must understand about GDPR and email marketing – and we’ll try to keep it brief. In order to be GDPR-compliant, your email recipients must actively confirm their consent. This means that they must be the ones to tick the subscribe box on a download or contact form. In the past, downloadable content has driven the growth of email marketing lists. Now however, GDPR restricts this practice. The section above translates to mean that consent is not freely given if an email is necessary to download content, and consent must be given separately. For example, you can provide a download and present the option to sign up to your email at the same time. However opting-in must be optional – allowing users to download the content without subscribing if they wish. It’s critical to understand that the rules of GDPR don’t just apply to email signups after the going-live date of GDPR, but also applies to emails prior to the 25th May 2018. Work through your email lists to identify who would have provided GDPR-compliant consent, and create a detailed record of the who, the when and the how. Where your contacts haven’t provided consent (or where you’re uncertain as to whether they have), you’ll need to send out emails to specifically ask them for consent. If they don’t provide it, you must remove the subscriber in question from your mailing list. PressPoint pro tip: It’s good practice to send out regular re-permission emails. This isn’t only for GDPR reasons, but to ensure your email lists are clean and your recipients are engaged. Those who stopped reading or needing your emails a long time ago can skew your data – leading to misleading ideas as to what email subject lines and content are working, and which aren’t. Many consumers and businesses were overwhelmed with the sheer amount of email re-permission emails, with some becoming completely disengaged. Others will have overlooked them. Still more people would have seen them as a chance to wipe out masses of regular spam email. Whatever the case with your list, if you’re facing an exodus of email subscribers, you’re not alone. Thankfully, there are simple steps that you can take to begin to rectify the situation. Here are our top tips for going into disaster recovery mode. Where is your email sign up featured? The answer should be ‘everywhere!’. From your blog side bars, to a sign-up box on the homepage, onto your social pages, your email newsletters need maximum exposure – now more than ever before. You also need to push the benefits of signing up. Write a short, sharp sentence as to why your emails are essential reading for your recipient (be sure to keep it brief – ideally 15 words or less). 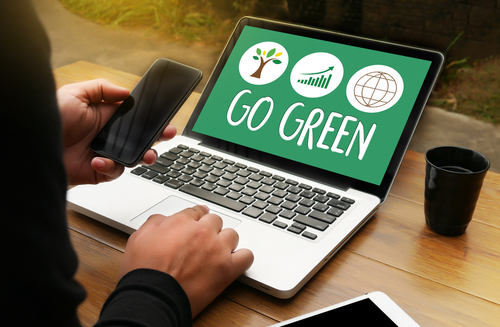 And while you can’t now demand an email in return for your downloadable goods, if your content is seen as valuable, your visitors will naturally want to hear from you more often! A blog is the ideal place to demonstrate how your content provides tips, advice and guidance that your readers find useful. Once they’re learned something here, they’re sure to want more of the same. You can also split your blogs into two parts – one part of which is live online, and the other which is sent via email (but again, remember that they must be able to access this without being signed up to your newsletter). We hope you are, as social media can be your best friend when attempting to rebuild your email subscriber lists. What’s more, it might be that some of your likers and followers aren’t even aware of your email newsletters yet. A tweet or status update can provide a quick boost to your newsletter list. This could simply say… “Our monthly #newsletter is heading out today – inside will be top secret equine industry news. Stay tuned!”. 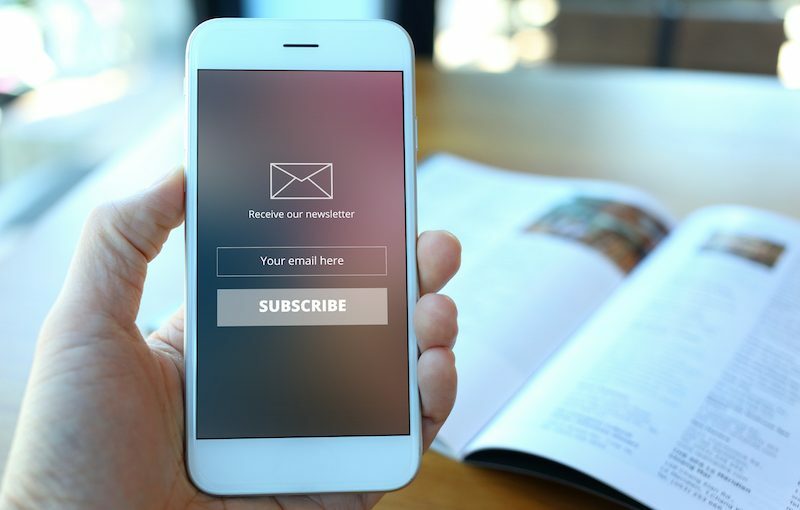 Uploading a select number of your past newsletters to your website can remove the guesswork when subscribing – showing potential recipients what’s to come when they entrust their email to you. PressPoint pro tip: Consider including exclusive offers, promotions and little-known, but important, news in your emails to create a sense of FOMO (which stands for ‘fear of missing out’). If you need expert help to overcome the impact of GDPR on your email list, PressPoint Countryside & Equestrian is here to help – we understand your marketplace and know just what it takes to repair a GDPR damaged marketing strategy. Call our team on: +44 (0)1953 851513 or email us: [email protected]. Flash Bang Wallop – what a picture, what a photograph! Need a guaranteed ROI – read on. How many of the general public know that the beach/rolling countryside/urban environments they can see peeping through the window of that beautifully styled room designed to sell you a sofa, is in fact a well-lit drop-down sheet chosen from amongst the hundreds of window backgrounds the photography studio has in its storeroom? Or indeed, how many realise that the particular beautifully proportioned room with not so much as a crumb or pet hair in sight, selling the dream of that sofa, has in fact just two walls, which are made from wood batons and has been shot in studio the size of a hangar, near Milton Keynes? Photography for marketing has always been the very definition of smoke and mirrors, but with good reason. The plain truth is that images sell things. 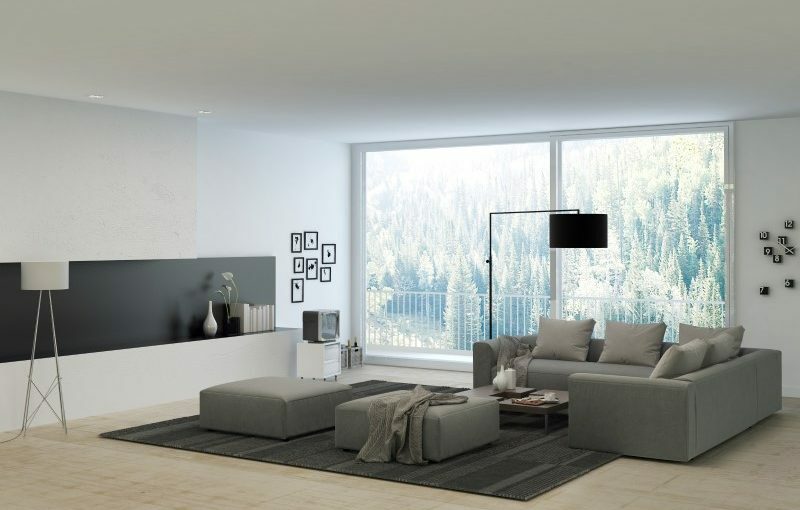 We’re not just talking about the high-end mega-budget photography which sells the dream that our own living room will be magically transformed into a facsimile of the highly stylised room in the advertisement, if only we bought that sofa. When you visit a certain High Street pub-restaurant chain, you will notice that there are images of certain dishes on the menu. This particular High Street pub-restaurant chain has realised that the meals featured in those images sell at twice the rate of other dishes on the menu. No surprise then, that the meals that are now photographed and included in glorious technicolour are the meals which yield the highest gross margin. One particular marketing trick from a few years ago, still makes us chuckle. In the windows of a particular fast-food outlet, you would see giant window posters promoting a particular offer or meal deal, the poster would show a scrumptious image of a perfectly prepared food item. But when you went inside there was no more point of sale for those dishes. Once they had enticed you into the outlet, the job was done. You were then reliant on your own memory of the meal deal, keeping it in your mind through the queuing process and then being able to articulate it, when faced with the pressure of the till staff taking your order, knowing that there was a lengthy queue behind you, looking daggers at the back of your head. The second reason was that the meal that was photographed so beautifully, was actually impossible to replicate by the hard-pressed kitchen staff, faced with a three-minute meal prep target. If you ate in the outlet, there was nothing visible to compare your limp looking dish with and if you took it away – well you were long-gone! The digital smartphone revolution has made us all photographers and videographers, but it hasn’t made us good photographers and videographers – it has simply given us very powerful tools we can use or misuse to our heart’s content. The latest smartphones have extraordinary photographic capabilities, the leading manufacturers understand that the camera spec is fundamental when customers are considering their new smartphone. The bonus for business owners or marketers is that these products are eminently suitable for a range of photography shots. As an agency, you would expect us to be advocating the use of professional photography, but this is not the case. There is undoubtedly a time and a place for professional photography – when the subject matter demands it. However, for other images, such as the humble pack-shot, shooting it yourself can be a viable option. But, it is really worth taking the time to set up the shot and shoot it correctly – there are countless on-line resources which can help you learn how this can be done. They will also teach you where your limits are and when it’s a good time to call in a professional photographer to get the results you need. The quality and/or resolution of the images submitted to this very magazine by people who really should know better, is a constant thorn in its side. FYI – a blurry 50kb image shot on a wooden desk, with a keyboard poking in the corner, will not look great in print. The story of the High Street pub-restaurant chain above, is a reminder to us all that there’s gold in them-there images. If appetising images of food can be used to sell high margin items at a faster rate, then why can’t the same be true in an on-line shop, e-newsletter or print catalogue for equestrian products? And the magical marketing ROI? Well there are two. Firstly, learn where the HDR setting is on your smartphone and second? Buy a tripod for your smartphone and a few large pieces of white card, it will be the best fifty quid you’ll spend all year – trust us. Authenticity, humanisation, the new art of storytelling – beyond these buzzwords and far past this marketing talk, the saying that people buy from people first still holds firmly true. But let’s be honest – do your prospective customers see you as a faceless corporate entity, or do they feel a brand that they can connect with? If it’s the former, you may want to consider re-writing your brand story. So, if you’re sitting comfortably, then we’ll begin. Despite there being a limited number of brand story themes, they don’t lose their authenticity as long as they’re done well. Take the classic rags to riches story – the one of a business person who built their company from the ground up and ultimately made a success of their struggles. If this sounds similar to your backstory, let people know. Then, there’s the hero’s tale – a story of adventure, jumping over obstacles, facing challenges and overcoming adversity. Taking centre stage in this brand story is not always who, or what, you’d expect. 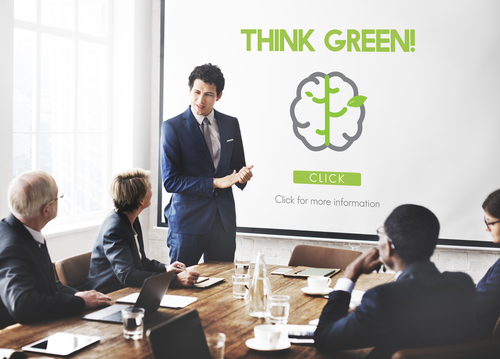 Whilst it could focus on the CEO, it can also be about the company or a product which has undergone significant changes to emerge as a better, bolder version of itself. The hero’s tale is somewhat similar to branding that tells a story about overcoming a monster. In this tale, the founder, company or product begins as the underdog to some seemingly unsurmountable force. The happy ending comes when they are victorious against the baddie – think early Macintosh versus PC, or American Express’s so-called ‘Small Business Saturday’ versus Black Friday. Other brand stories focus on the customer – on true stories as to how they’ve experienced a transformation with the product or service in question. Similarly, other brands publicise stories about the people in their team, and how the unique company culture influences them in their roles. 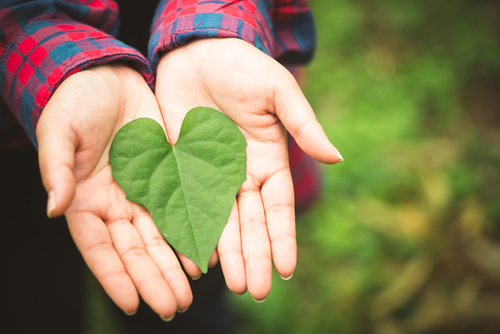 There are also ways of shaping a brand story around heritage (most commonly used by family brands) or sustainability (which shows how a brand is making positive moves for the environment and/or their community). Empathy is an incredibly underused technique in marketing, yet when done well the results can be especially powerful. We can thank a small collection of brain neurons for this. Known as mirror neurons, they’re responsible for us being able to feel another person’s, or indeed company’s, pleasure or pain. The best example of empathy in action may be in the emotional Christmas adverts – think lonely man on the moon from the John Lewis; Paddington Bear from M&S or Sainsbury’s ‘Christmas is for Sharing’ campaign. What we can learn from these is that your target market is biologically programmed to connect with emotional stories – so make it a tear-jerker or a smile-maker – make them care, and their loyalty and business could be yours for the taking. Oxytocin is a neurochemical, and in the simplest sense it signals to our body that all is safe to approach others – this biological process used to be critical for the survival of our Neanderthal ancestors. Interestingly character-focused brand stories, when done well, result in oxytocin synthesis. In turn, this increases how prepared the viewer is to help others. Research from the Harvard Business Review has found that a brand story must capture and sustain attention and introduce some form of tension – enough for the audience to share the feelings of the character. What problem do you solve? What pain do your customers face that your product or service removes? Fully understanding the way your customer experiences pain is key to building a story and ultimately creating a pleasure that is experienced when it’s resolution. – Who you are – How did your company come to be? What is your vision, mission, values and culture? – What you provide/produce – The service or product needs to be subtly obvious wherever you tell your brand story, no matter the content type. – Why you do what you do – The bigger picture – going beyond your product or service to detail how you benefit your customer. – Where you are headed – The ways in which you’re evolving to always improve your product/service. Who are your audience? The entirety of your target market, or a select type of customer? Designing a story around a well understood persona is key to ensuring you craft a brand story that resonates, and that cleverly interweaves the target audience’s pain points into the fabric of the brand fable. Your brand story begins with your founder and the original purpose of the business. Make it detailed and follow a blow by blow account of how the business grew. Add to the mix amusing, heart-warming or tense anecdotes, stats, facts and a CEO testimony. Then weigh up how this beginning led to, and influenced, the present day, as well as the goals of the future. Get creative, brainstorm with your colleagues and commit to it. If you’re struggling, come back with fresh eyes, or survey others for their opinion. Print your long brand saga out and pin it up next to your statement. The task now is to create an A4 page to summarise your story – telling a true narrative of your brand, in a condensed format. Perhaps the most important element of a great brand story is purpose. Remember those neuroscience tricks we were speaking of? They all revolve around emotional connections, and in order for your brand story to work, it must have an authentic purpose, if your audience is to engage. 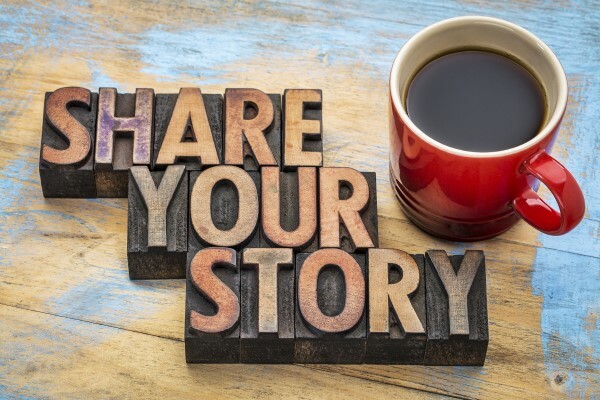 The best brand stories are readable through every marketing material and contact with your company – from your logo, to you blog content, to the interactions with your workforce. This means keeping your branding consistent – the colours, the values held by company and workers alike, to the tone of voice that’s shared by both the about page, and CEO. You want to motivate, engage and persuade, and a powerful brand story can achieve all three, resulting in tangible pence and pounds on the bottom line. Yet creating an effective brand story that resonates is a tough business. If you’d prefer to move onto Happily Ever After, rather than struggling with your Once Upon a Time, you know where we are. We can help pen a brand story that sells. Call our team on 01953 851513, or send a message over and we’ll be right back in touch – [email protected]. Who’d be a retailer in 2018? “This town, is coming like a ghost town” – The Specials, 1981. For most of us, the first big retail casualty of the internet age was Woolworths, way back in January 2009. In many ways, the failure of Woolworths softened the public up for all future retail failures. The announcement of the closure was a seismic shock at the time, but the writing had been on the wall for some time. In many ways, whilst we shed a nostalgic tear for its demise, in reality it felt kinder to shoot it rather than have the one-time giant of High Street linger on, slowly decaying further before our eyes. Although 30,000 employees thought very differently at the time. Our shock at announcements from once mighty retailers will never be as great as the shock we felt when the Woollies announcement was made. When BHS went in 2016, it didn’t seem as bad somehow, maybe because we thought there were baddies to blame for its collapse, but the relentless fall of the retail dominoes went on and with each one we cared less. 2018 though, feels like the worst yet. 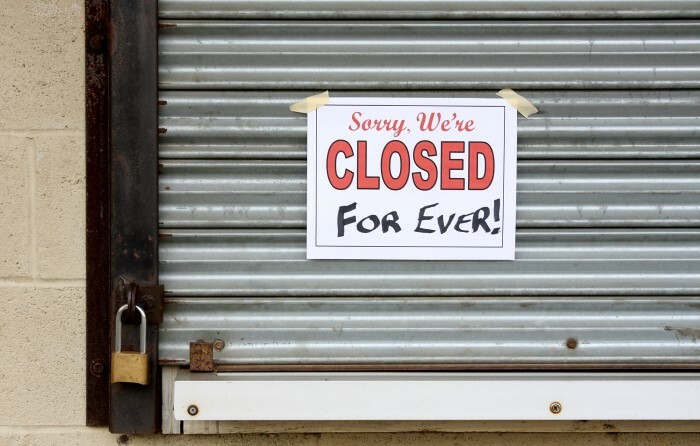 According to the Centre for Retail Research; from January to May 2018, 1,415 High Street shops have closed at a cost of 15,236 jobs. Those figures for the whole of 2017 were 1,383 shops closed and 12,225 jobs lost. The 2018 figures don’t even include the fallout from the recent House of Fraser announcement. The speed that well-loved retail brands have become irrelevant and surplus to our shopping needs is quite shocking. 2018 has already seen the demise of Toys R Us, Maplins, Wine Rack, Poundworld and closer to home even Countrywide Farmers. Plus, there have been large-scale store closure announcements from both M&S and House of Fraser. This is all happening with the continuing success of Amazon casting a very long shadow – Amazon recently reported a 25% growth in on-line sales. Amazon carries such a threat for retailers, that the merest whisper of Amazon’s launch into grocery sales in the UK, has led to multi-billion pound consolidations, seeing Tesco merging with Booker and Asda and Sainsbury’s getting very serious about a merger too. So how ironic then, that a retailer of the stature of M&S sets out on a strategic mission to achieve 30% of its sales on-line, at a time when Amazon is trialling Amazon Go in the US – its first venture into bricks and mortar Amazon stores. What is fascinating is that Amazon is bringing the learning from its online success to its physical stores. It is attempting to recreate the convenience of its online store in a retail environment. There are no tills or checkouts, customers log into Amazon on their smartphone app when they enter, select the products they want to buy and then leave with their products – the departure of the shopper from the outlet then triggers the payment. And Amazon being Amazon, it captures all the data during your visit, which is then used to suggest additional complimentary purchases to the shopper. Neat! Whilst all of this might seem a long way away from any equestrian retail outlet, in the same way that the technology from top-end cars eventually finds its way into the Ford Fiesta, the technology and strategies of successful retailers will ultimately shape the requirements of everyone’s customers. What customers are able to see and do in one store, be it online or on the high street, they will want to do everywhere. In 2021, one retail sale out of every four will be made online and half of those online sales will be on a mobile device, so one in every eight retail sales will be on a mobile device by 2021, that is an astonishing figure. And could prove to be a very worrying one for many small retailers. If your online shopping offering isn’t mobile responsive or even mobile friendly, you’re going to be pretty much dead in the water. We are constantly astonished when we are looking around at how many websites aren’t set up for mobiles, or how many of their sites’ owners are seemingly oblivious to the pressing need to update the site. The reasons for the final demise of the dinosaurs is subject of much debate, whereas there is very little debate over the demise of dinosaurs in the retail world – their customers deserted them because there were more attractive places to shop. The sad truth is that extinction is a very real possibility unless you’re prepared to embrace the digital retail revolution.